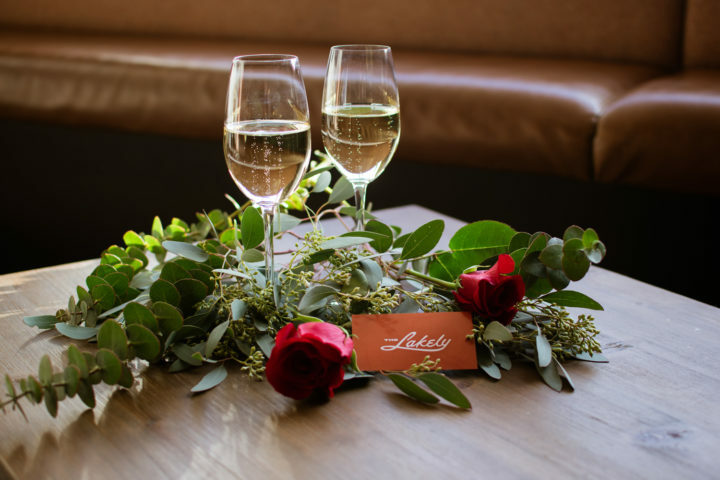 Spend the night in style with your sweetie at The Lakely! You’ll enjoy a complimentary flute of champagne and a delectable four course meal prepared by Chef Nathan Berg, made with all locally-sourced, farm to fork ingredients. Live music by Shannon Kaeding & Christine Hitt will be featured on stage, beginning at 5:30 p.m.
It’s sure to be a romantic evening!